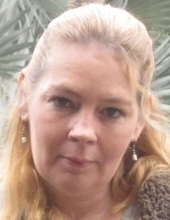 Dawn Jean Bissette, of Rolla, passed away Tuesday, January 29, 2019 at the age of 51. She was born in Chicago, IL on January 12, 1968. Dawn was a beautiful, sweet, and loving lady who will be greatly missed by all who knew her. She also shared her loving nature with animals and volunteered at animal shelters. She was preceded in death by her mother, Janice (Busse) Smallish. Dawn is survived by three daughters, Kristin Dawn Behnen and husband Eric, of Florida, Amanda Abreu, also of Florida, and Jamie Lynn Wright and husband Ryan, of St. Louis, MO; her father, Bernard Weisman, of Chicago; fiancée, Vic Surdam Jr., of Rolla; one brother, Donald Weisman, of Florida; four grandchildren; aunt, Sue Leach, of Chicago; other extended family members and dear friends. A visitation for the family and friends of Dawn Bissette will be held from noon until 2 pm. Sunday, February 3, 2019 at the Null and Son Funeral Home in Rolla. Memorial contributions are suggested to the Tri County Animal Shelter. To send flowers or a remembrance gift to the family of Dawn Jean Bissette, please visit our Tribute Store. "Email Address" would like to share the life celebration of Dawn Jean Bissette. Click on the "link" to go to share a favorite memory or leave a condolence message for the family.